In 1911, brothers, Hubert and C.D. Richardson established Cameron Trading Post near the Grand Canyon. Since that time, it evolved into a trading post for Native American art, hand-made jewelry and clothing, plus an 80 room motel and a major restaurant. 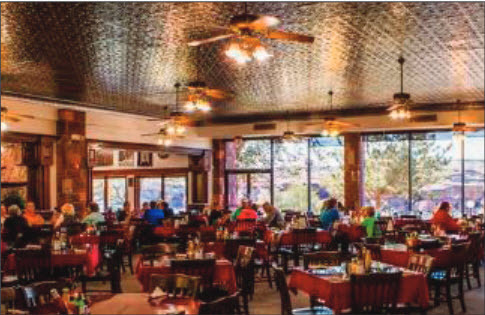 In season, busloads of visitors visit every day, have breakfast, lunch or dinner and then shop the trading post. The longer it takes to get orders, prepare food and serve visitors, the less time is available for shopping. So it became important to shorten the time it takes to serve and cash out the dining customers. All bussers now have a tablet PC for taking beverage orders. Once drinks are served, waiters ring in the food order. Using wireless devices speeds the production process instantly—no need to walk to the service bar or kitchen, and wait in line for turns. Orders go through instantly, automatically directed to an assigned kitchen. The use of tablet PCs for order-taking and quick check out provides a significant return-on-investment, more efficient waitstaff and satisfied customers. Finally a POS on a mobile device without compromise.